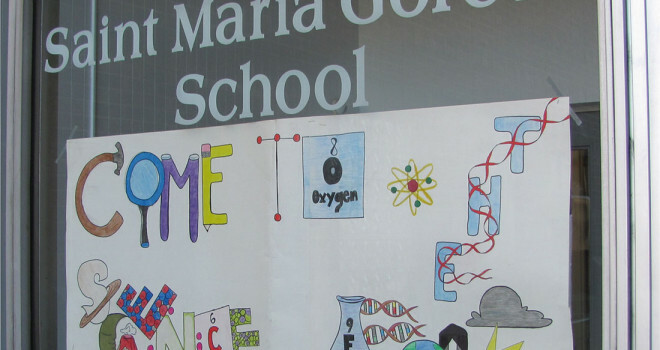 Sisters of the Holy Spirit » Saint Maria Goretti Students Win Again! 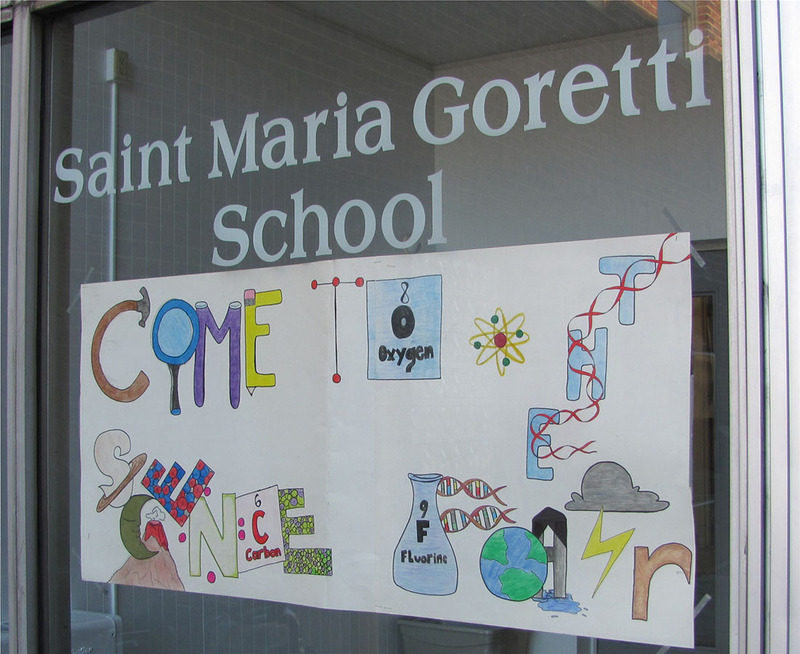 Saint Maria Goretti Students Win Again! Students of St. Maria Goretti School, competed in the Pennsylvania Junior Academy of Science competition at Duquesne University on Feb. 6, 2016. They had a strong showing, with one first, seven seconds, and two third-place finishes. Abigail Crusan led the way, winning a first place and a trip to Penn State in May to compete in the state finals! In the eighth grade, six students presented their projects to a panel of judges. Jacob Gorham won a second place in the Chemistry category. His project tested the pH of various liquids, and was titled: Fruit Juices: pH Changes Based on Their Temperatures. Brandon OToole investigated Physics in his project, Roller Coaster Physics, and earned a second place. John Hollihan’s Engineering project: Lifting the Weight, investigated the mechanics of prosthetics, and earned him a second place. Nicholas Pho, second place, asked “Is There Something on my Teeth?” and used eggshells to test which liquids stain teeth the most. Lyv Mamaril, tested the Power of Acid Rain on plants in the Botany category and took third place. Selena Nguyen competed in Chemistry with her tests of window cleaning products. Her project: Which Cleaning Products are Best for You? earned her a third place. Grade seven was represented well by four students. Abigail Crusan won first place with her project in the Biology category. She tested and measured hand fatigue in: How Do you Wright, Right? Amanda Nguyen won second place, and tested the effects of gum and peppermint on test scores. Anthony Pascale investigated Exercise Physiology in his project, Memory Run; he won a second prize. Eliane Rectenwald used Chemistry to test different cups and their insulation capabilities. She also won second place. Overall, SMG students had fun, made new friends, enjoyed their experience of a college campus, and improved their quality of achievement in the sciences. Science teacher, Ms. Dianne Majchrzak, supervised the projects.